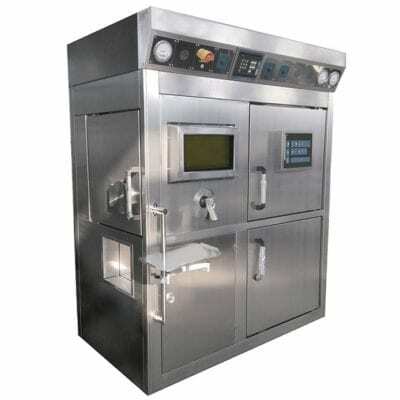 Multiple Function Hot Cells | Capintec, Inc. 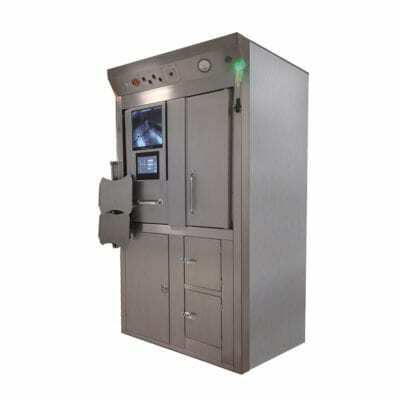 The multiple function hot cell has two operation platforms both with lead glass viewing windows. One equipped with two shielded glove ports, another equipped with one tong. 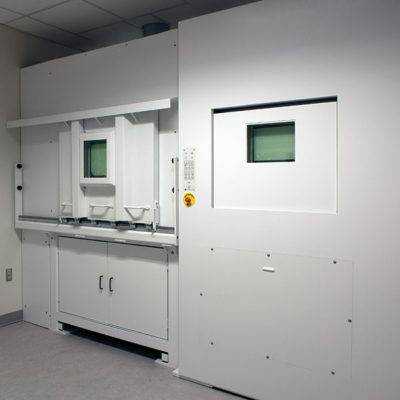 It is available for two operators to handle the isotope simultaneously. It is not only for research purpose but also for GMP production. 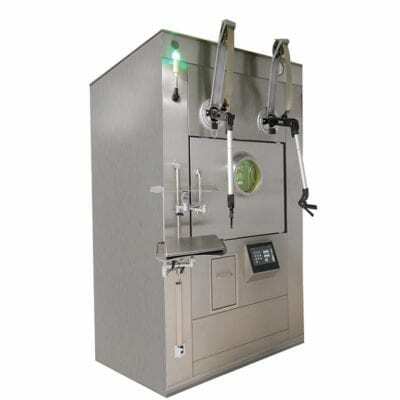 An innovative vacuum sealing technology ensures chamber air tightness. 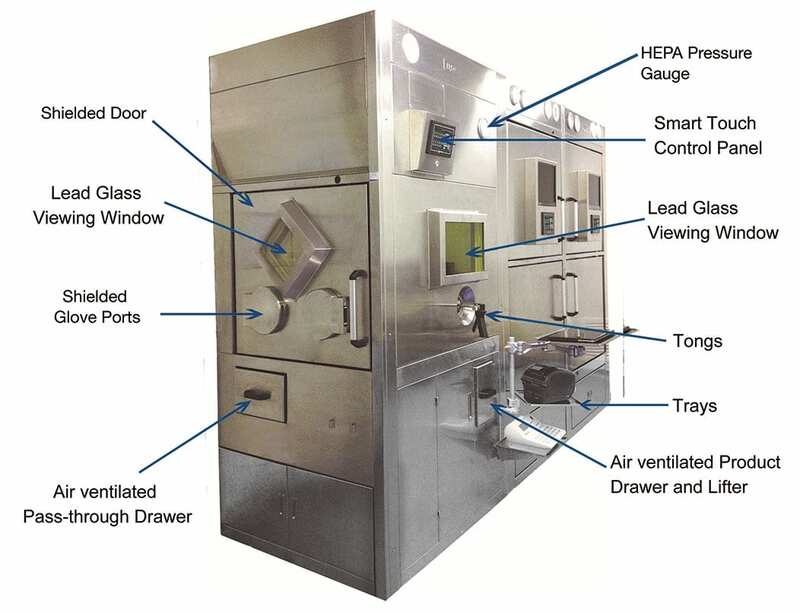 A HEPA filter is equipped to ensure the air quality complies with Grade A (class 100/ISO 5). The Smart Touch Control Panel integrates all operating functions and real time monitoring of temperature, humidity, air pressure, air flow rate, air change rate, and radiation level.